INSPIRED IMPACT is an ongoing blog series that gives voice to social entrepreneurs and leaders of mission-driven organizations who are making an impact in their communities, industries, and across the world. 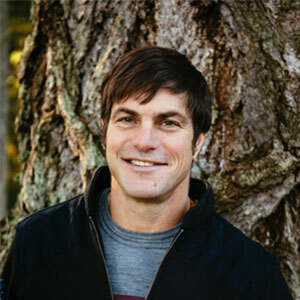 David Karr is the Co-Founder of Guayaki. Follow them on Facebook and Instagram and learn more at guayaki.com. Our vision holds that global yerba mate culture will power our market-driven regeneration business model to reforest and create healthy communities. So people can come to life. Unfolding, unveiling and reaching their personal best will help them make other conscious decisions about how they are as a person interacting with the greater humanity and planet. This could mean how they spend their time, who they support and how they vote with their dollar. It all starts with good clean energy and a meaningful purpose. We are and always have acted as a pioneer in the new paradigm for business, one where peace can be profitable. We are proving that a company can make money by having good relationships, utilizing trickle-up economics and regenerating the entire supply chain from source to shelf. I want to have a deep, connected, meaningful experience as a human…its more fun to work towards something larger than myself! And in regards to who inspires me, I would say all the the unborn children who are going to come into what we create. I want all organizations of the future to have this new paradigm of thinking. I want them to start or shift a business by saying, “How can we make peace profitable?” or “How can we make our actions drive balanced planetary solutions?” When organizations begin to be more in harmony with nature, essential lifeforms and systems will continue to regenerate. Alive, awakened, activated people who like to be of service. This way of doing business takes patience and hard work – we need people who are here to serve the greater good and not just themselves. Historically it was financing the vision since it took 15 years to break even. However now that we are past that point, we have moved into manifestation…our biggest challenge is navigating the world of big business and the “business as usual” mindset as we expand into conventional markets. Fully commit and then figure it out. Align your personal and professional life with your passions and reach deep to see how you can regenerate yourself and be of service. Share our story and the stories of others that are using business for good.